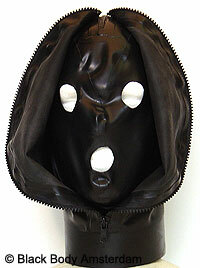 Rubber hood with double front. The first front has eye- and mouth holes. 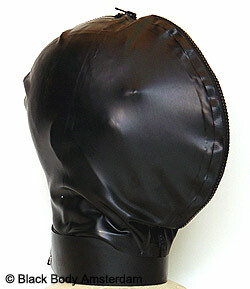 The second front closes with a zip. Click on the picture to view it closed and the back.